Insectia is a new mod created as part of the ModJam competition. 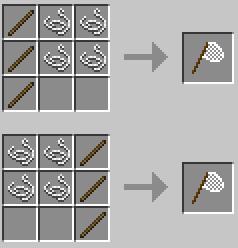 This mod allows the user to craft tools that, when used on different blocks in certain biomes, will produce insects. These insects can then assist the user by gathering items such as food or materials. The insect will occasionally reproduce, and the cycle continues. Simple mechanics to learn quickly. 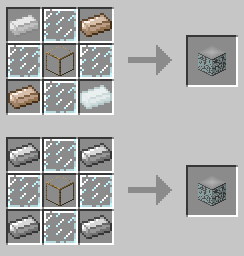 Break blocks with correct tools, occasionally get bugs from blocks, put bug in housing, get stuff from bug, repeat. API for developers to create their own insects and other creepy crawlies. Compatible with some OreDictionary Ores. Used in a few recipes. Not too expensive, but a bit time consuming to make. Used to break certain blocks and producing insects. Scoop is use on dirt, Sand Shifter on sand, Bug Catcher on leaves, and Spider Net on Webs, Saplings, or cacti. Insects have different spawn rates, so while the Spider net is more robust, it’s drops are rarer than the others. 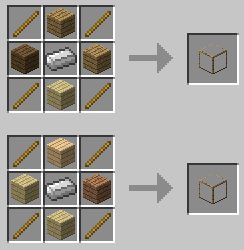 Used in many block recipes. 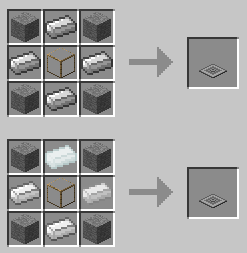 Can also use Tin Ingots instead of iron if another mod adds tin. Where your bugs will live once you’ve captured them. Different types of housing exist, and paring the right insect with the right housing will result in them living longer. Simply right click one with an insect in hand to store it and Shift+Right Click with an empty hand to get the items your little buddies produced. Note some insects will not work unless it is day time or if there is a torch near their housing. Place one of these on top of any insect housing and right click it. It will tell you the current status of your insect as well as any items they have produced. Your insects may occasionally leave behind larvae after they pass away. Drop a larvae within one (by right clicking with larvae in hand) of these and wait. Shift+Right Clicking will tell you how many ticks till they’ve mature. Right click again to retrieve the fully grown insect.